Thank you for all your support throughout our campaign! It is with your incredible backing that we are now able to make The Bard's Tale IV a reality. We will be working to make The Bard's Tale IV a worthy successor to the legacy of the classic trilogy. For news and updates on The Bard's Tale IV, you can check our official site, our Tumblr page, Facebook, and Twitter. For those of you who missed the Kickstarter, we are still taking pledges on our web site - click to support The Bard's Tale IV! Check out our in-engine video showing our vision for The Bard's Tale IV. New to the Kickstarter? Check our recap update here! Want more details on the game? Read our touch points document here! Our community has unlocked 21 rooms in our dungeon thanks to their efforts spreading the word on The Bard's Tale IV!! Room 4 [UNLOCKED] We will add a physical code wheel to *all* physical tiers, including $65. Digital tiers will receive a digital representation of this code wheel. Room 8 [UNLOCKED] We will add old-school premium graph paper to physical box tiers at $95 or above. Digital tiers will receive a digital version of the graph paper! Room 12 [UNLOCKED] We will add actual, REAL Red Boots DLC to The Bard's Tale IV... FREE to all backers $20 or above! Room 16 [UNLOCKED] All backers $20 or above receive TWO Julie Fowlis songs. Room 20 [UNLOCKED]: Unlock the all-new Exclusive Brian Fargo Bard Skin. Special [UNLOCKED]: the Lute of Compulsory Cavorting is added to the game. We have added the emulated versions of The Bard’s Tale, The Bard’s Tale II: The Destiny Knight and The Bard’s Tale III: Thief of Fate to every tier $20 and above FOR FREE! Additionally, we have an agreement with the original The Bard’s Tale III programmer Rebecca "Burger" Heineman and her company Olde Sküül to update the games for modern machines! You can find us on social media: Facebook, Tumblr and @BrianFargo. We can also be found on localized social media in Polish, Czech and Russian. 30 years ago, a small company by the name of Interplay produced a cRPG titled Tales of the Unknown I: The Bard’s Tale. This game was crafted at a time when the RPG genre was growing and being defined by an endless stream of innovative releases. In this period dominated by Wizardry and Ultima, The Bard’s Tale was an unexpected hit, putting Interplay on the map. Brian went on to produce many of the RPGs we still love to this day, including Wasteland, Baldur’s Gate, Fallout, Icewind Dale, Planescape: Torment, and many more. The Bard’s Tale was also one of the first members of the Computer Gaming World Hall of Fame, and The Bard’s Tale III was featured in the Smithsonian’s “The Art of Video Games” exhibit. During our successful crowdfunding campaigns for Wasteland 2 and Torment: Tides of Numenera, our legions of generous backers stunned us with their outpouring of support, proving those games still had an audience that was willing to help make them happen. As we began to look into our next project, we were flooded with requests from many of our supporters who wanted us to return to The Bard’s Tale universe. The dungeon crawl genre it represents has largely been forgotten by mainstream publishers. What better time than the 30th anniversary of the original for us to bring The Bard’s Tale back to life with a true dungeon crawling sequel, The Bard’s Tale IV! Craft your party, your way. The Bard’s Tale IV allows you to develop, progress and grow a party of adventurers as you see fit. Build a combat-hardened warrior to lead the way, or a spell-flinging Conjurer to provide support from the back lines. A character’s class provides the basic archetype, but as you progress you will tweak and evolve your party to suit your play style. The original Bard’s Tale games allowed you to evolve your magic class characters from the Conjurer and Magician to the more powerful Sorcerer, Chronomancer, Geomancer, and even the feared Archmage, each providing new spell trees to explore. We’re extending this system to all class types for increased levels of customization and tinkering. As your magic and combat abilities grow, you will combine spells and skills from your different party members for increased effects greater than the sum of their parts. Deciding when to evolve your characters has a major impact on the types of spells that become available. The eponymous Bard is of course returning. The Bard is an important member of each party, with magical songs empowering the group in combat or providing a helping hand while exploring and solving puzzles. Your band of adventurers will be influenced throughout the game by the Bard's music. By playing the Rhyme of Duotime, your party will regenerate spell points at increased speed. Switching to The Archer’s Tune will greatly increase your party’s missile damage. Just make sure your bard is well stocked with ale...so his throat doesn’t dry out. We are also bringing back many popular races like humans, elves, dwarves, and including some newly inspired races like the Trow. The races all have their own unique culture and history, integrating your choices more into the game’s narrative. The world and citizens of The Bard’s Tale IV react to your party’s make-up, branching the quest structure and providing a unique experience depending on who is joining you. "In mist-shrouded Skara Brae, in the darkest hours of a winter's night, sometimes can be heard a voice on the wind. The Song of the Maiden the locals call it, a song sung since before the standing stones grew moss, a song of ill fortune, that lures those who hear it to their doom, and drives the melancholy to madness, a song, they say, that must never end, for if it does, the world ends with it." What did the wizard Mangar seek when he cast his spell of Eternal Winter, locking Skara Brae in ice? Why did the invading archmage Lagoth Zanta shatter the Destiny Wand and end seven hundred years of peace? Why did the mad god Tarjan cross the outer planes to burn Skara Brae to the ground and slaughter its people? What secret could drive beings of such great power to again and again lay waste to these ancient isles? The adventurers who put a stop to these fiends never learned the answer to these questions, but now, a hundred and fifty years after its destruction, and the building of a new town on top of the old, another power, greater than all those before, has turned an eye once again to Skara Brae and the time-lost catacombs beneath it, seeking the secret its predecessors failed to find - and once more, a small group of hapless adventurers are all that stands in its way. The Bard’s Tale IV brings you back to locations you know and love in the bustling, under-construction town of Skara Brae, though the events of the past years have changed it in ways you might not expect. As always, many taverns dot the city for the party to quaff down large tankards of ale and wet their parched throats. The Adventurer’s Guild is still open and ready to assist. The descendants of the original Skara Brae have picked up where their ancestors left off, so magic users can regenerate at the reliable Energy Emporium (Roscoe Jr.) and restock in the ever-ready Garth’s Equipment Shoppe. You know us as lovers of reactivity, choice, and consequence in our games, and naturally The Bard’s Tale IV is no different. Your actions in and around Skara Brae can change the town forever! As you make choices and complete your quests, other local bards will sing songs of your exploits, which may change the attitude of noblemen, modify the friendliness of merchants, or unlock previously inaccessible buildings. Quests are either offered or revoked based on your influence in the world, so you must choose them wisely. Being a dungeon crawl, you’ll get to explore the dungeons, forests, crypts, and castles within, underneath, and around Skara Brae as well as worlds beyond the lands of men. The emphasis is on exploration, mystery, discovering new locations, and fighting your way through traps and monsters. Secrets abound in these dungeons, and the world is shrouded in mystery. Like the originals, movement and dungeon design is grid-based, but the game allows you to toggle the grid off and move freely if you prefer. We have a passion for non-linear level design and The Bard’s Tale IV embraces this concept. While you explore the world, you will reach areas, obstacles, and monsters you won’t be able to defeat. By venturing out into new areas, developing additional skills and spells, or finding enchanted weapons and armor, you can return with a new set of tools better equipped for the job. Definitely expect a challenge; this game won’t be easy. Challenges beyond combat await you. Dangerous traps dot the dungeons, and you’ll need a deft hand to find your way through them – as well as a keen sense of mapping. With the full rights to use all of the content, story, and setting of the original games, we are returning to many of the familiar trappings and challenges. But don’t worry. If you find yourself completely stuck, just turn your way to a Magic Mouth, those perfectly ordinary hint-givers that come in the shape of giant talking stone walls. A big part of true dungeon crawls is the combat. The Bard’s Tale IV utilizes a dynamic phase-based system to resolve such encounters. What do we mean by that? Combat is resolved in a phase-based manner, meaning your entire party takes its turn, and then all enemies take theirs. In the original trilogy, you’d make all of the decisions at once and only then see the results. For The Bard’s Tale IV, we want a more dynamic experience: as soon as you decide what a character will do, they immediately act. This is the first way in which battles dynamically change, as your rolls and effects can have a variety of outcomes which might make you rethink your next action. When we say that combat is dynamic, we also relate that to the game's pace and feel. The Bard’s Tale IV allows you to give your commands as quickly as you want, even while the animations of your previous commands are still playing out. This removes the tedium of waiting around for animations to finish before the system accepts your next input. And of course, your enemies are a major part of keeping the system dynamic – you'll need to examine the battlefield and react accordingly to win, including being aware of abilities that directly counter other abilities. Special abilities will also be a huge emphasis for the game. The Magician class, for instance, uses their powers to enchant and change the properties of objects by manipulating their physical environment. By casting Ybarra’s Mystic Shield, the air in front of the party becomes an invisible shield. Illusions and summoning is a pillar of The Bard’s Tale universe too, so expect your foes to be summoning their own monsters while constantly evolving the tactical nature of the combat at each turn. Running backwards will not be a viable survival strategy! Items, weapons, armor, and specialized loot are a big part of dungeon exploration. You will want to equip (and conjure) yourself with the best gear, including armor, gloves, helmets, shields, weapons, instruments, rings, and wands. The sense of discovery and mystery doesn’t stop with the environment. Many items hold their own secrets that you’ll need to discover by carefully examining them. Similar to the intriguing video game series The Room, by thoroughly studying special objects, you can unlock ways to enhance or modify their properties. After looting a chest, for instance, you might find a dagger with suspicious holes dotting the blade. After examining it closer and rotating two oddly shaped discs on the hilt of your newly found weapon, a small compartment opens revealing a clock-like dial. Twisting this dial properly and locking it into place, you notice a viscous poison dripping from the blade which will add additional damage to each attack. We extend this physical manipulation element into a rich variety of challenges. Dungeons are filled with diabolical puzzles that unlock anything from shortcuts to secrets, to extra loot, and often you’ll need to think of clever ways to use your arsenal of spells and skills to get through them. The Bard’s Tale IV has a strong fantasy heritage and represents a leap forward for this genre. We intend to craft its world and creatures with a unique stylistic approach to make the game all the more memorable, with a distinct artistic theme that is instantly recognizable and layers of rich detail that make the bustling world come alive. In both its music and visuals, The Bard’s Tale IV draws heavily from many elements of Scottish culture. We plan to integrate Scottish architecture in the look of Skara Brae and the game’s dungeons and wilderness. In many cases we directly take real-life objects, specially photographed, and convert them into 3D objects using the process of photogrammetry. We then take the processed 3D objects and tweak them to end up with authentic and gorgeous game assets that perfectly suit our stylistic approach. The Bard’s Tale IV is brought to you by inXile Entertainment, led by Brian Fargo. Brian was directly involved in the creation of all three The Bard’s Tale games in the 80s, the first game launching his long and storied career at Interplay and inXile through the 90s to now. inXile has embraced the crowdfunding model fully, delivering the fan favorite Wasteland 2 (over 70,000 backers raising over $3 million), and following it up with Torment: Tides of Numenera (over 90,000 backers raising almost $4.9 million and still going). We doubled Wasteland 2’s crowdfunded budget with our own funds, and continue to support it with the upcoming Game of the Year Edition, which will be released as a feature rich and extensive free upgrade to all PC backers and buyers. The Bard’s Tale IV is spearheaded by the same team that delivered the award-winning Wasteland 2. As always, inXile Entertainment is proud to be a part of Kicking It Forward, pledging to spend 5% of our eventual profits back into crowdfunding projects. If you’ve already pledged at any tier $20+, you can include add-ons with your pledge. To add an add-on, go to "Manage" at the top of the Kickstarter page and increase your pledge by the same amount your add-on(s) cost. Once the Kickstarter ends, we will contact you with more details on how to specify your add-ons. Limit 5 per backer. To view the full rewards chart, click here! All physical rewards come with digital equivalents, where applicable. All in-game content is subject to revision and final approval by inXile Entertainment. Video games are complex products, but inXile Entertainment gathers decades of experience in managing them. The studio is in its 12th year of existence now, and has a proven track record for Kickstarter-produced games, having released Wasteland 2 to fan and critical acclaim and with a second project in production in Torment: Tides of Numenera. The main challenge is indicating a fully accurate delivery date, which is not possible to do before we know how much funding we have. As funding increases, it allows us to increase the scope and depth of the product, but this will inevitably impact the release date. Our initial estimate is based on a $2.5 million budget game and we will openly communicate on changes to the release date as our project progresses. 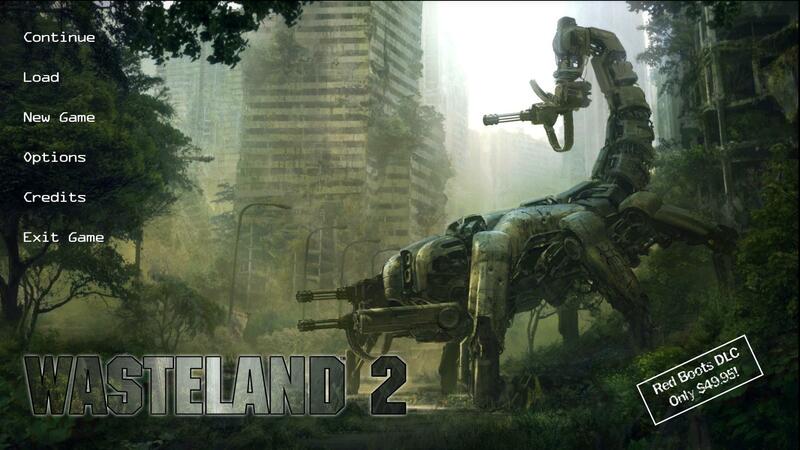 inXile has established revenue streams from its back catalog, including Wasteland 2, The Bard’s Tale, as well as the upcoming Wasteland 2 Game of the Year Edition. This revenue is invested directly back into the games we’re working on – we will be investing at least a matching $1.25 million should Bard's Tale IV fund. These revenue streams will allow us to improve the quality of Torment and The Bard’s Tale IV, and provides additional security to see the project through to completion.